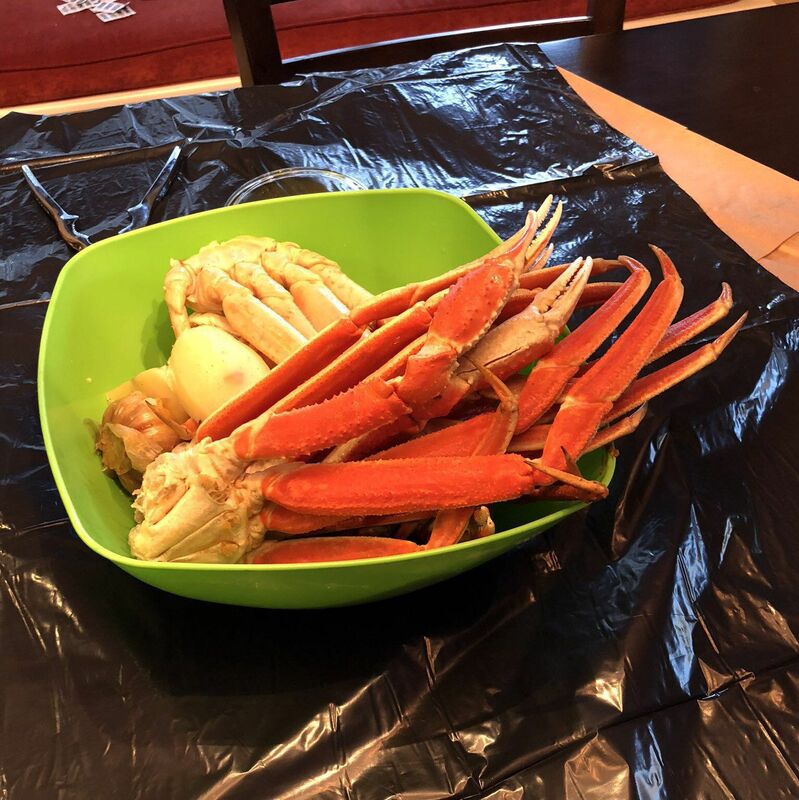 Boiled snow crab legs in Cajun spice. So much spice while it was boiling I kept coughing. But it sure is good!